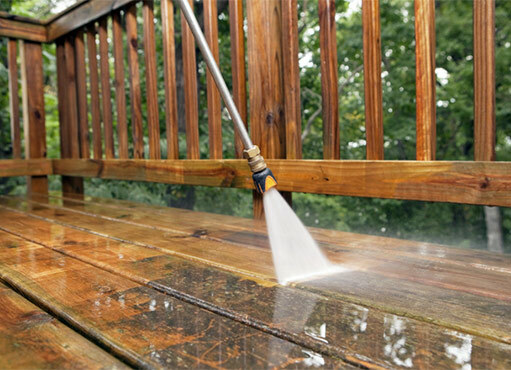 With a thorough power wash, your property can regain its brand new look. The dirt that covers your driveway, patio, deck, roof, siding, etc., not only steals its sparkle but also reduces the lifespan of your home. We come armed with reliable equipment and years of experience to give your property a revitalising wash, all hassle free. NICK’S Window Cleaning draws on over ten years of experience to provide pressure washing services Markham residents can depend on, any time! Our liability insurance and WSIB coverage mean you work with us with peace of mind, and our friendly rates mean no money stress. The cleaning power of a pressure washer can be devastating when in untrained hands. You risk damaging your property or even injuring yourself. The risk of wasted time, money, and damaged property means calling the professional is the smarter option. Ours are hands that have taken care of hundreds of cleaning jobs in the GTA. The worst part in all this is that after you ruin your property with improper pressure washing, most insurance policies wont honour such a claim. Normally, damage you bring upon yourself is not covered. Why risk all that when you can simply invite an insured pro to get the job done. The backbone of a great pressure wash is the equipment. Your property deserves only the best machines that the industry can offer. We come armed with unmatched tools that will walk over any dirt with ease, leaving your property with that bright brand new appearance. We set out to deliver pressure washing services Markham property owners can depend on for their residential and commercial cleaning needs. Looking at our glowing reputation, that is a goal we have clearly achieved. We invite you to experience our thorough, affordable, hassle-free service. Protect your property from preventable premature damage. Let the professionals get it cleaned today! Your property needs regular cleaning. Storms, dusty winds, falling leaves, moss, mildew and other pollutants can drastically reduce the visual appeal of your home. These have to be gotten rid of before they ruin your property’s surfaces permanently. But you definitely won’t give your property a thorough cleanse armed with just your hosepipe. You will need the power of a pressure washing machine. 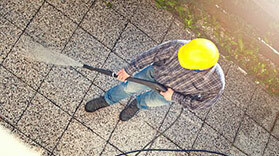 Here are some reasons why you should hire pressure washing pros for your home. Increase curb appeal: If you are thinking of selling your property, the very first thing you need to do is make sure it looks its best. A power wash might restore your home’s sparkle before potential buyers see it. The enormous pressure that the equipment generates means a large surface area can be cleaned in a short time. It is therefore easy to give your home a top and down wash without taking forever. Safeguard your investment: You might think the dirt on your driveway is just a visual nuisance. But without taking any action, you risk permanently ruining your property. Your property is probably among your largest investments. Give it the regular cleaning it requires to keep it intact. The moss on your roof? Well, it is not just unsightly but it will also weaken your roof covering over time. Maintain a germ-free environment: It is no secret that germs love dirt. By giving your property a power wash, you are getting rid of harmful germs that might have made the dirty surfaces their home. But this is not a task you should do on your own. While you can easily rent power washing equipment for self-cleaning, a cleaning company is your best chance at getting a thorough, safe job done. Pressure washing has many aspects that you might know nothing about. It takes time to learn how to handle the equipment to deliver a good cleaning. By opting to tackle that task yourself, you risk damaging your property. Of course, it is called power washing but that does not mean you should just aim the brutal jets of water at your property’s surfaces anyhow. A professional knows the optimal pressure for each type of surface and the nature of dirt. Apart from that, the angling of the nozzle also matters. All these are details that take training and time to master. Don’t gamble with your property. Just get the pros for the job!